Leading global provider of security and safety solutions, Allegion (formerly Ingersoll Rand Security Technologies), will be demonstrating its range of Electronic Access Control (EAC) systems at IFSEC International from Tuesday 17  Thursday 19 June at the ExCeL in London. Allegion will be demonstrating products from its Schlage range of reliable and convenient biometric technology security solutions. The Handkey II is an access control reader which utilises field-proven hand geometry technology to map and verify the size and shape of a hand in less than one second. It can be used as a stand-alone security solution or it can form part of a networked system. 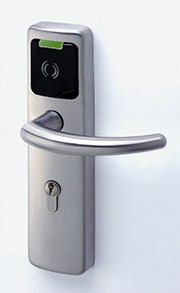 It offers complete door control, providing door lock operation, request for exit, and alarm monitoring. A version is also available to use for time and attendance purposes to link into HR and workforce productivity systems. The stand will also feature the latest TBS 3D touchless finger scanner, which is the first fingerprint capture technology to reconstruct the 3-dimensional features of the human finger by capturing the finger geometry, ridge and valley detail at resolutions up to 1000 dpi. Visitors to stand can also take a closer look at the very latest in the PegaSys wireless intelligent access control solution from Allegion. PegaSys offers a wide choice of electronic and mechanical entry components, based on RFID technology, and it provides an instant and economical way to upgrade traditional mechanical doors to a fully electronically-controlled access system. Allegion aptiQTM multi technology readers will also be showcased at IFSEC. The readers combine cutting-edge security technology with the ability to transform basic access control products into single, integrated solutions. Utilising an open architecture design, the aptiQTM readers are capable of interfacing with most systems and accommodate most manufacturers proximity cards. They are also compliant with Near Field Communication (NFC). 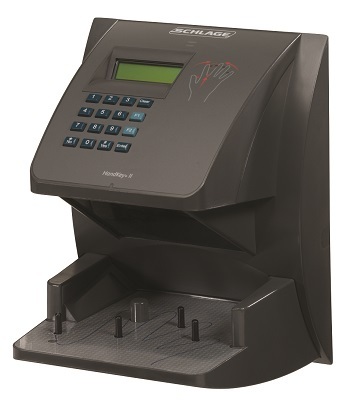 The aptiQTM reader allows mutually encrypted communication between the card, reader and diversified keys, which protect data integrity and prevent unauthorised access. And as an added benefit, aptiQTM contactless smart credentials come with a variety of data storage options and highly impressive data transfer rates. All Allegion products are offered with industry needs in mind and are backed up by the companys quality, design and testing capabilities.